Flexi, 6.75 x 9 in. / 272 pgs / illustrated throughout / DVD. It includes the first bibliography of his works. 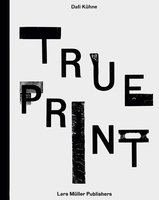 Through his legendary imprint Edition Hansjörg Mayer, he issued publications by Dieter Rot, Richard Hamilton, Tom Phillips, Ian Hamilton Finlay, Eugen Gomringer, Dorothy Iannone, John Latham, Robert Filliou, Emmett Williams and many others. From the late 1970s he also began to research, collect and publish an extraordinary series of books about vanishing cultures. 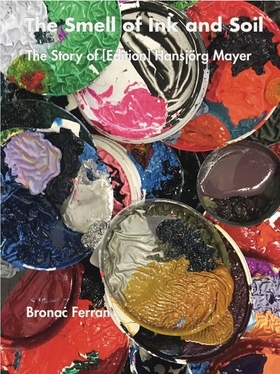 Identified as a print prodigy by Max Bense in the late 1950s, Mayer’s unique expertise and virtuosity with print technologies of the time allowed for the publishing of works in experimental formats that radically expanded existing conceptions of both the poem and the book. Includes DVD. FORMAT: Flexi, 6.75 x 9 in. / 272 pgs / illustrated throughout / DVD.